· Permanent political dialogue in bilateral and multilateral formats (Georgia's relationship with Azerbaijan has developed into a strategic partnership). · Cooperation in the sphere of energy: Cooperation with Azerbaijan is of great significance in terms of Georgia’s energy security. The two countries are connected by such important regional projects, as are "Baku-Supsa and "Baku-Tbilisi-Ceyhan” oil pipelines and "Baku-Tbilisi-Erzurum” gas line. Cooperation in the sphere of electric energy is also developing with great success. · Cooperation in the sphere of transport: diversification of Georgia’s transport infrastructure and bringing it in compliance with the European standards is one of the most significant directions of Georgia’s Foreign Policy Strategy. In this context, the "Baku-Tbilisi-Kars” railway project is the most evident proof of successful cooperation between Georgia and Azerbaijan. Through the realization of the above-mentioned project, the railway systems of Georgia and Azerbaijan will be linked to the centralized railway network of Europe that is of geo-strategic importance to the Black and Caspian Sea regions. · Bilateral trade relations: the Republic of Azerbaijan is one of the most significant partners of Georgia. In 2006, the volume of trade turnover between the two countries increased considerably in comparison with the previous years. Georgia is interested in further expansion of trade relations with Azerbaijan that means taking decisive steps in trading operations towards liberalization and stimulation. · Cooperation in the fields of finance, banking, agriculture, tourism, culture, sport, education, science, etc. 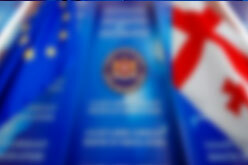 · Cooperation in the frames of GUAM, as well as in such multilateral formats as BSEC, TRACECA, INOGATE. · Coordination of work in the frames of universal and regional international organizations. · Georgian exports to Azerbaijan: cement, locomotives and other railway vehicles; mineral and chemical fertilizers; mineral waters; strong drinks; glass and glass wares; pharmaceuticals, etc. · Azerbaijani exports to Georgia: oil and petroleum products; natural gas; plastic wares; waste foodstuff, furniture and building constructions, etc. Georgia’s investment climate has improved considerably due to the economic reforms launched recently in our country that reflected positively on the business circles of Azerbaijan as well. Azerbaijan’s interest and direct capital investments in Georgia increased. Incomplete information indicates that the volume of direct investments from Azerbaijan to Georgia in 2006 amounted roughly 260-270 mln. USD.